Last Sunday (5/26), I went back to the Wicked Chicken Auction. 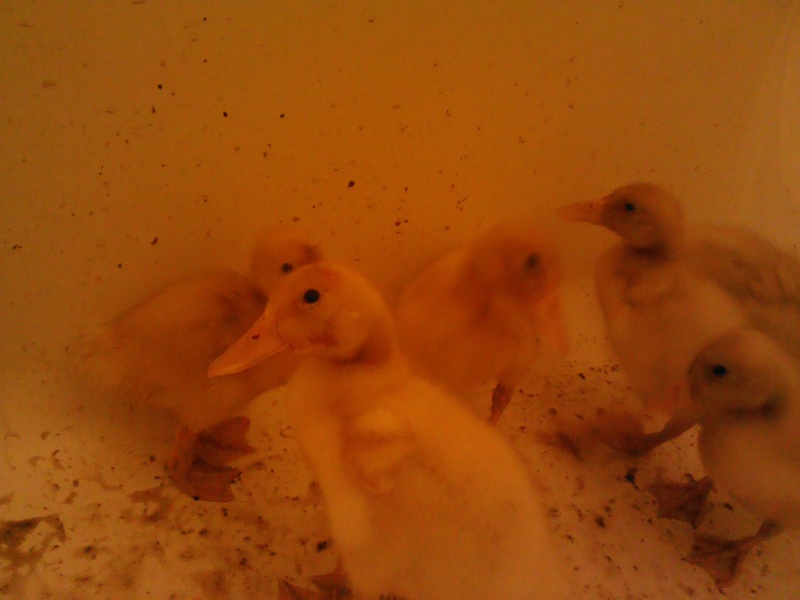 I went majorly overboard… I brought home button quails, blonde and pharaoh quails, a fully grown Muscovy drake (14 lbs!!! ), 12 Pekin ducklings, 3 white chicks, 5 rock island roosters, 3 Americana roosters, and 5 California cross rabbits. Of course, living in an apartment, most of these had to go right away. I only got the roosters and chicks at the end of the auction. They were $1 a bird (and only $0.40 per pound). This gives my dog food for nearly a month! I am not a big fan of killing them, but I think it is a valuable skill to have. The ducklings are by far my favorite creatures that I have ever had. I knew they wouldn’t be around long. I killed the largest 6 (all over a pound), and let some of the smaller ones bulk up a bit for the week. Holy crap, they are loud! They also love to swim in their water dish, spilling it EVERYWHERE! So, I caved in and let them hang out in my bathtub in a tub of water. By Thursday; however, the noise was just too much, and the rest of them were culled. This was, by far, the hardest thing that I have ever had to do. Ducks are super intelligent comedians. They have quizzical, adorable expressions. They greeted me when I came in, and they are afraid of the dark. 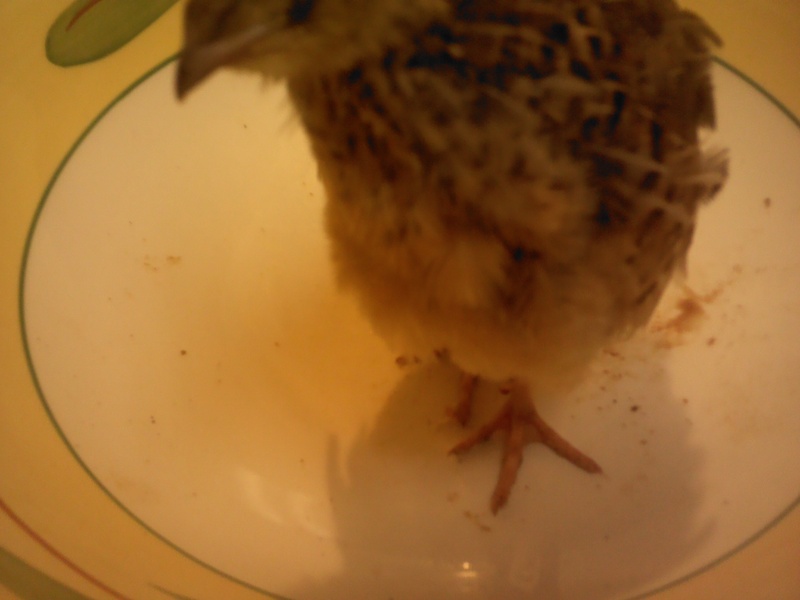 These were the blonde quails that I brought home. There was a total of like, 30 quails (including the tiny buttons). I built a cage out in the closet outside for the rabbits and the quail. Quail are easy, and are fully grown at 6 weeks. So, I thought that they would be a good addition to the household. However, by a week in, the combined smell of the quail and 7 rabbits, as well as the spike in humidity and 90+ temperatures has created a smell that is bugging the upstairs neighbor. I add regular lime and change the sawdust too. The smell isn’t bad, but because there is no airflow, not because they are super smelly. I don’t want to make horrible waves with her, so I killed all of the quail but the buttons, and the two large bunnies (another post). This leaves me with five bunnies (will be transported to camp) and the 13 chickens (also transported to camp tonight).